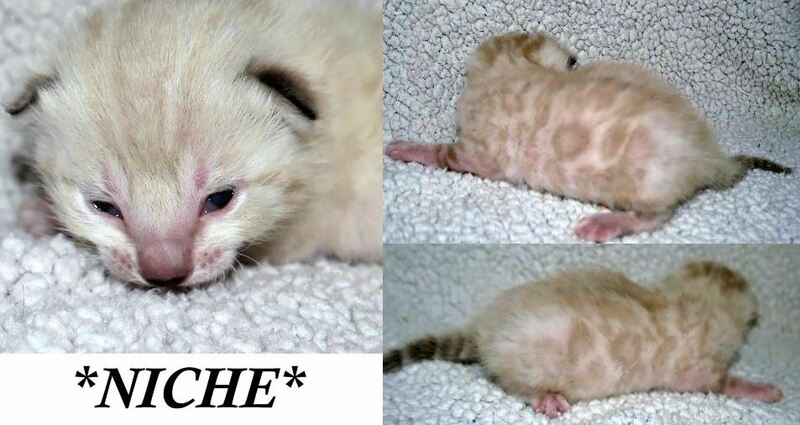 This little girl is going to be just as beautiful as her older half sister KotyKatz Ponyo! 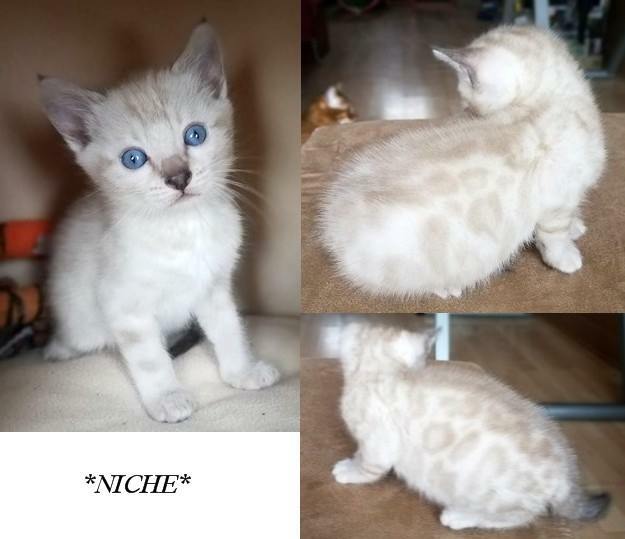 Niche is a seal lynx point. 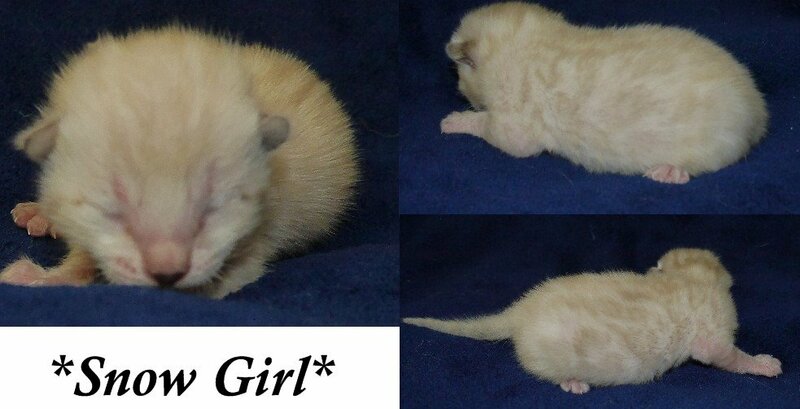 (also referred to as a snow) She is already showing very intense blue eye color. Her rosetting will get darker with age. It will be fun to watch her grow! 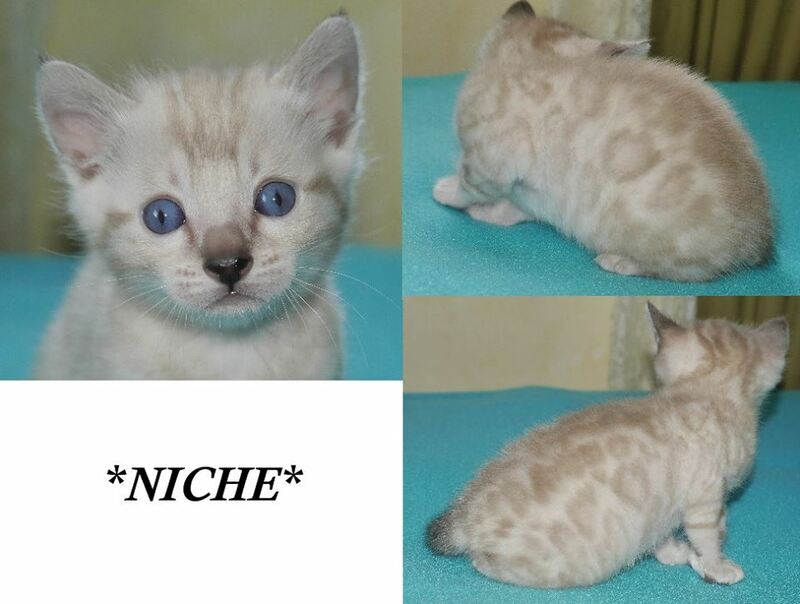 This entry was posted in Bengal Kitten Gallery and tagged Bengal kitten, Female kitten, Niche, seal lynx point. Bookmark the permalink.